Pray with seasonal Charity Wisdom from our founders and friends. We invite you to learn about the many ways in which our partners in ministry serve our sisters and brothers in Christ. on the Feast of the Immaculate Conception. As an expression of our reverence for creation, the Mission of Sisters Hill Farm is to grow healthy food, which nurtures bodies, spirits, communities, and the earth. Now in our third century of living lives of love. OUR MISSION AS SISTERS OF CHARITY IS TO SHARE IN THE ONGOING MISSION OF JESUS by responding to the signs of the times in the spirit of St. Vincent de Paul and St. Elizabeth Ann Seton, by revealing the Father’s love in our lives and in our varied ministries with and for all in need, especially the poor. Join in the mission of the Sisters of Charity of New York. Stay up-to-date on news from our ministries and the life of our Congregation. 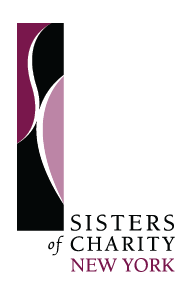 Recognize your loved ones in a special way by enrolling them with the Sisters of Charity. Donation made help provide for the care of retired Sisters and supports our varied ministries. Learn more. Our newest centenarian, Sr. Catherine Smith, is profiled in the Winter 2019 issue of Vision. Also featured in this issue: our newest Associates, LifeWay Network, Steve Korf —who will be honored at the Spring Benefit, a LEFSA Sock Drive, and more. Click here to read/download.